Jacob Meeks, an early pioneer of branded merchandise, convinced a store to provide free bags to school children, with the name of the store printed on it. The promotion was such a success it soon spawned thousands of imitators. G&G Outfitters Announced as MillerCoors POS and Promotional Merchandise Partner of the Year 2016! 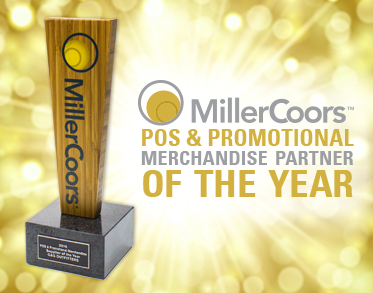 G&G Outfitters, the leading branded merchandise agency in the United States, is honored to be named MillerCoors 2016 POS and Promotional Merchandise Partner of the Year. This award is a reaffirmation of G&G’s commitment to its clients to deliver “PCE” the “Perfect Client Experience” through Quality of Product, Exceptional Customer Service, Competitive Pricing, Compliance, Corporate Responsibility, and Innovation.